Brexit was always going to be a challenge, but it’s hard to imagine how U.K. Prime Minister Theresa May can recover now from the biggest blow so far: the resignation of the minister responsible for Brexit. 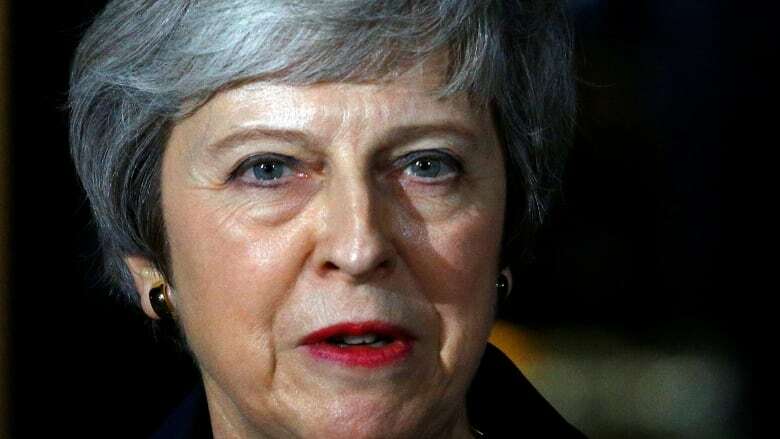 U.K. Prime Minister Theresa May defied mounting calls to quit or change course Thursday over Britain's withdrawal from the European Union, warning that abandoning her Brexit plan would plunge the country into "deep and grave uncertainty." Britain's long-simmering divisions over its future in the EU erupted into turmoil just a day after the government agreed to a divorce deal with the bloc. Five ministers resigned — including two from May's cabinet — and some lawmakers from May's own Conservative Party called for her to be replaced. The crisis threatened to destroy the Brexit agreement, unseat the prime minister and send the U.K. hurtling toward the EU exit without a plan. In an evening news conference aimed at regaining some control, May said she believed "with every fibre of my being that the course I have set out is the right one for our country and all our people." "Am I going to see this through? Yes," she said. For more than two years, May has had to navigate the disunion over Brexit that has plagued not just the U.K. but also her own party. Selling any deal to such a fractious crowd was always going to be a challenge. But it's hard to imagine how she can recover from the biggest blow so far: losing her second Brexit minister since the position was created. 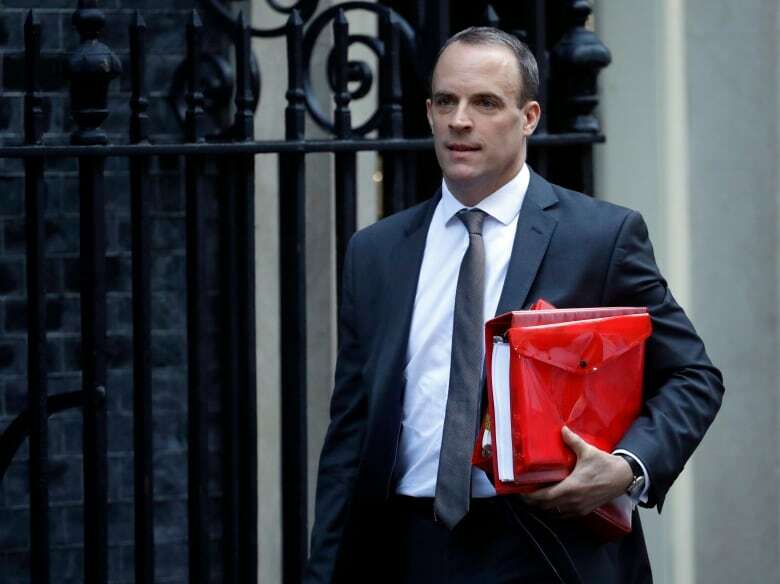 "I cannot reconcile the terms of the proposed deal with the promises we made to the country in our manifesto at the last election," Dominic Raab wrote in a letter Thursday. Work and Pensions Secretary Esther McVey followed Raab out the door, saying in a letter that it is "no good trying to pretend to [voters] that this deal honours the result of the referendum when it is obvious to everyone that it doesn't." 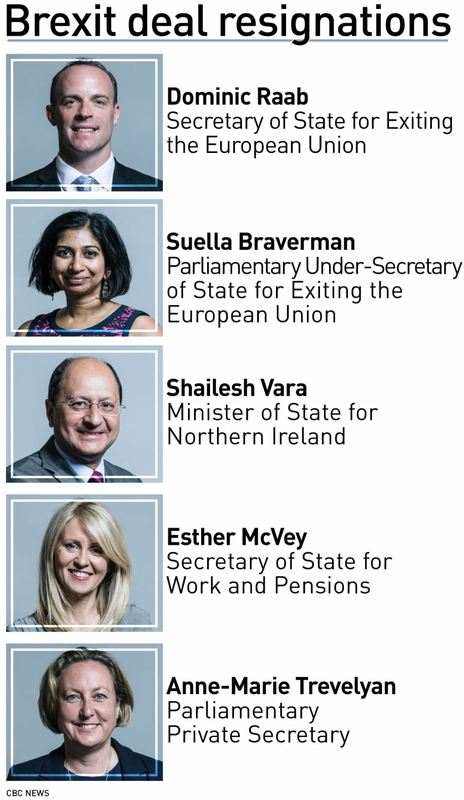 Along with Raab and McVey, Northern Ireland Minister Shailesh Vara, Junior Brexit Minister Suella Braverman and Junior Education Minister Anne-Marie Trevelyan all resigned from May's government Thursday. 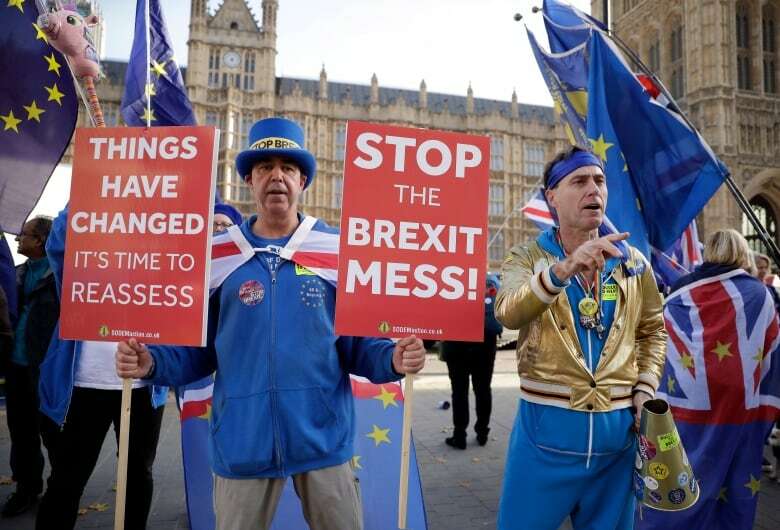 "The government is falling apart before our eyes as for a second time, the Brexit secretary has refused to back the prime minister's Brexit plan," said Jon Trickett, a member of opposition Labour Party leader Jeremy Corbyn's senior team. "Theresa May has no authority left and is clearly incapable of delivering a Brexit deal that commands even the support of her cabinet — let alone Parliament and the people of our country." A further threat to her leadership also emerged as prominent Tory Brexiteer Jacob Rees-Mogg submitted a letter asking for a vote of no-confidence, calling for May to be replaced by a more firmly​ pro-Brexit politician like ex-foreign minister Boris Johnson, former Brexit minister David Davis or Raab. Under Conservative rules, a confidence vote in the leader is triggered if 15 per cent of Conservative lawmakers —currently 48 — write a letter to the party's 1922 Committee of backbenchers, which oversees leadership votes. Like any divorce settlement, the Brexit deal was bound to be a grudging, imperfect compromise. There was the added challenge of trying to please multiple sides. Now that a draft compromise is on the table, most of those sides in Britain are up in arms. "We're in the Brexs*it," screamed the Sun newspaper. "May's soft Brexit deal blasted by all sides." At this late stage in a negotiation process that's lasted more than two years, May had hoped an ultimatum would save her and the draft she painstakingly reached with the EU: it's either this deal or chaos. Beyond walking away, it was the only tactic she had left. 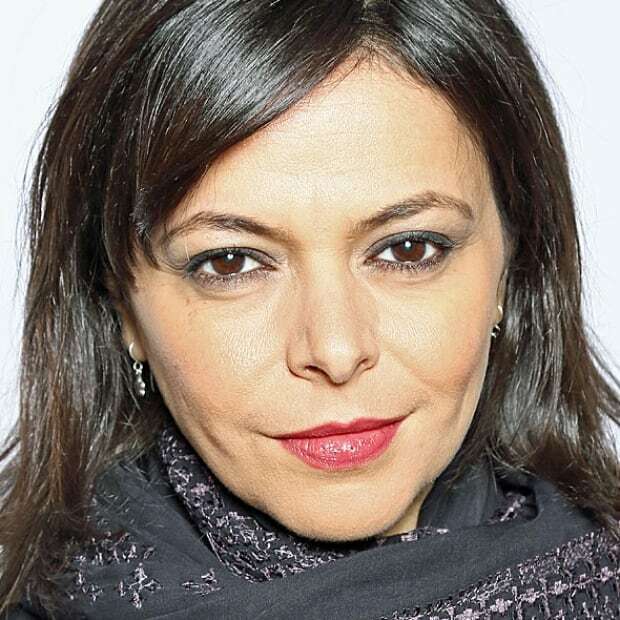 She managed to get the 585-page compromise past her divided cabinet on Wednesday, clearing just one of several hurdles before it can be approved. Both Wednesday and Thursday, May outlined the choices available: a deal "which brings back control of our money, laws and borders, ends free movement, protects jobs, security and our union; or leave with no deal, or no Brexit at all." The deal as it stands sets out the terms of the divorce, which is set to happen on March 29: the $67-billion bill, and the protection of the rights of each other's citizens once the breakup happens. It would end free movement that is possible under the current relationship. The most controversial are provisions that would temporarily keep the United Kingdom aligned with EU rules as long as necessary to avoid border checks between Northern Ireland and the Republic of Ireland. The deal also allows for the extension of the transition period as the two sides work out a new trading arrangement. The transition period is currently set for 21 months. In the Commons on Thursday, she warned of the consequences of voting against the deal. "Voting against a deal would take us all back to square one," she said. "It would mean more uncertainty, more division, and a failure to deliver on the decision of the British people that we should leave the EU." Labour Leader Jeremy Corbyn said his party "will not accept a false choice between this bad deal and no deal." In an ominous sign for May, Nigel Dodds, an MP from the Northern Ireland Democratic Unionist Party (DUP), which is propping up May's government, called on MPs to vote against the deal that amounts to a "vassal state." Some suggested it was time to plan in earnest for a no-deal scenario. Such arguments were heard on all sides of the House, strongly indicating Britain could be heading toward yet another political correction, one that the prime minister and her government may not survive. With both the Labour Party and the DUP unhappy with the deal, an eventual vote in the Commons — if it even comes to that — could bring the entire thing down, taking May's premiership with it. Earlier, a former May chief of staff outlined his concerns in the Daily Telegraph. "British compromises were inevitable," Nick Timothy wrote. "But the proposal presented to cabinet is a capitulation … not only to Brussels, but to the fears of the British negotiators themselves." The threat remained that more of her cabinet members will walk in protest, jeopardizing her government. Then the resignations started, first with Vara, who argued the deal puts the U.K. in a "halfway house with no time limit on when we will finally be a sovereign nation." But Downing Street appears to be hoping that the looming uncertainty from a leadership contest or a general election this far down the Brexit road might persuade just enough MPs on all sides to accept the deal and move on. With opposition among both remainers and Brexiteers, the math suggests otherwise. Meanwhile, a date has been set for an EU summit to consider the deal: Nov. 25. The U.K. House of Commons would then have to ratify it. As the great unravelling continues, this is a union far more disunited over Brexit than the one it seeks to leave.